Brisbane Soloist 339 – There are few entertainers in Queensland who can provide an audience with such a diverse range of styles as Brisbane Soloist 339. With an impressive repertoire of songs Brisbane Soloist 339 has entertained people all over the world. Providing rich vocals with guitar and sequencing, Brisbane Soloist 339 can choose from his extensive song list to create either an easy listening lay back mood, through to a focused and enthusiastic performance with lots of audience participation. 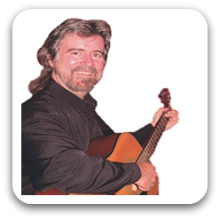 Genres include Easy Listening ballads, Irish and Aussie folk that includes bush dancing, Country favourites, along with Rock ‘N Roll and popular songs from the 50s & 60s right through to today’s current hits, to cater for all ages. Whether your function is a birthday celebration, Wedding, Work party, Anniversary, school or back yard BBQ, with such a diverse range of music and styles everyone will be guaranteed a fantastic night of entertainment they won’t want to forget.